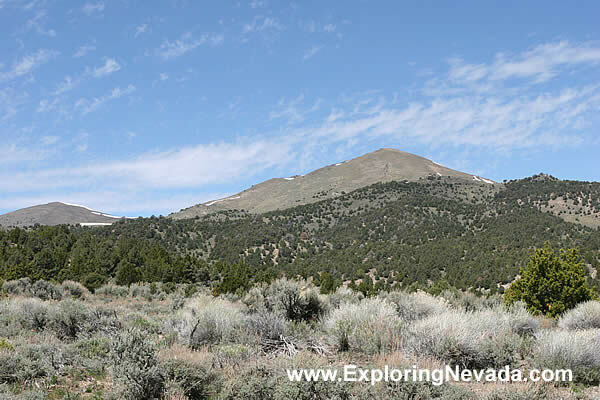 The Desatoya Mountains have several tall peaks that have an elevation between 9000 and 10,000 feet. However, that height isn't quite tall enough to squeeze as much snow out of the atmosphere as happens in other, taller Nevada mountain ranges. As such, the snow tends to be not as deep in the Desatoya Mountains. Thus, the snowcover melts away faster than the other mountain ranges around it (such as the Toiyabe Range and the Shoshone Mountains).